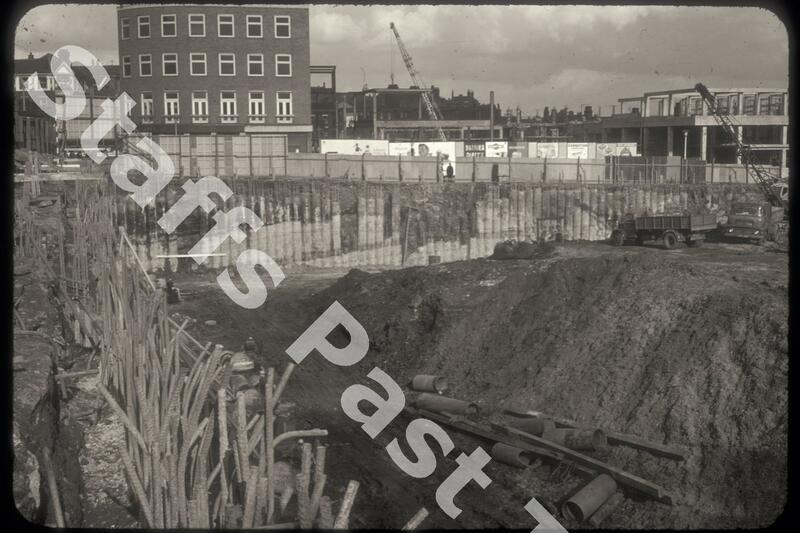 Description:Excavations for the East and West Precincts of Hanley Shopping Centre. In the top right hand corner of the photograph is the corner of The Woodman public House on the corner of Old Hall Street and Goodson Street. The building facing the camera is the office block on the corner of Charles Street. 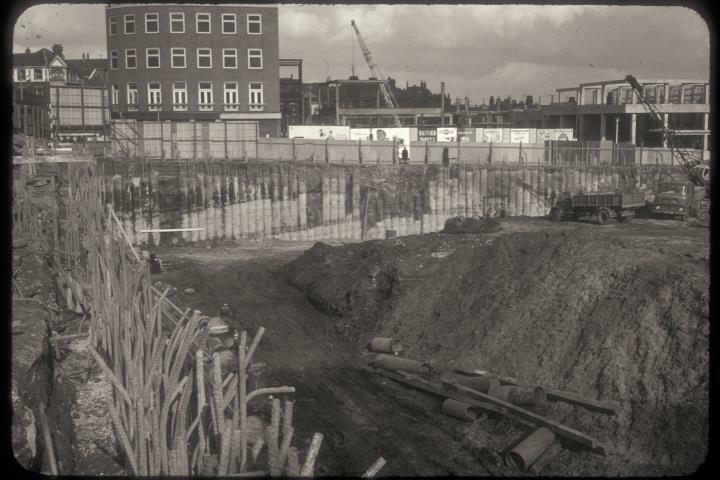 Bert Bentley noted that the excavations were for the underground car park beneath the West Precinct.